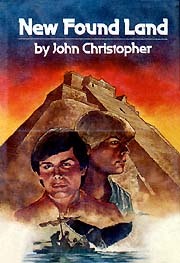 Christopher, John. Fireball . Dutton 1981. What if: The Roman emperor Julian (the Apostate) lived into his eighties, and his restoration of the empire to paganism took hold. But his various acts to stabilize the empire also result in stifling technological advances. Series note: Three tales of crosstime-traveling boys: Fireball , New Found Land , and Dragon Dance . Summary: Two teen-agers are caught in a strange ball of fire, emerging into a Britain still ruled in the 20th century from Rome. They fall into the hands of the Christian bishop of London, who uses their knowledge of advances in military technology to overthrow the empire. Series note: First in the Fireball Trilogy. Published: Dutton 1981 (0525297383); Tempo 1984 (0441238459); and Aladdin 2015 (1481420100w88 android, 1481420097BUY). Translation: French by Isabelle Reinharez as Boule de Feu , L'Ecole des Loisirs 1991 (2211062105). Christopher, John. New Found Land . Dutton 1983. Summary: Simon and Brad flee to North America, but after encounters with hostile Algonquians and a lost Viking colony, they move further on. Finding an Aztec city in what would be our South Carolina, they become tlathchi players in order to raise funds to travel further west. Series note: Second in the Fireball Trilogy. Published: Dutton 1983 (0525440496); Puffin 1984 (0140316833BUY); Aladdin 2015 (1481420135BUY). Translation: French by Isabelle Reinharez as Nouveau Monde , L'Ecole des Loisirs 1991 (2211063180). Summary: Having reached California, Simon and Brad find themselves kidnaped into slavery in China, perhaps the most technologically advanced country in this world but subject to the beliefs of the mystic Bei Kun. 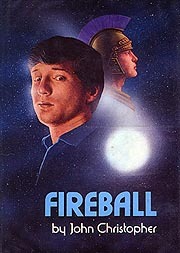 Series note: Third in the Fireball Trilogy. Published: Viking/Kestrel 1986 (0670810304); Dutton 1986 (0525442278). Translation: French by Isabelle Reinharez as La danse du Dragon , L'Ecole des Loisirs 1991 (2211064124).